The basic first step is installing the program in your laptop or desktop. Then by double clicking the installer file which you have downloaded, you need to follow all the instructions written in the installation wizard. Once the installation is successful, you simply need to launch the program. Then in next step, you need to click over “Add media files” option on the program window and then select the file you want to work with. After that you’ll have to click and drag the file and then drop it in the “Media” tab which is located at the bottom of the program window. 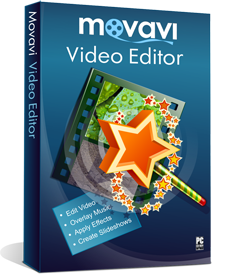 The software enables you to work with multiple video files at one go. For setting the speed of the video file, you’ll have to right click on the file and then click on “Speed”. After you click on speed a slider will appear on your screen. By dragging the slider you’ll be able to make your video play faster. You should keep in mind that with an increase in video sapped, the audio speed of that file also increases. The software enables you to make the video play faster keeping the audio speed intact. You’ll have to reduce the sound of your audio to nil. You’ll be able to do that by dragging a slider. After that you’ll give to place your video file on the audio track section of the media tab. After you’ll have to delete the part of the audio that remains. Also you’ll be able to add a completely different audio to the speeder up a portion of the video using this software. After you have made the changes, you’ll have to save the file. You’ll only have to click on “Save Movie” and the video will be saved. You’ll be able to choose the format in which the video will be saved. You’ll also be able to choose a folder in which the video will be saved. Using the software, an output video can be uploaded. You’ll also be able to burn a video to a DVD using this software. For mobile devices, you only need to mention the device, and then the video will automatically be played in playable format.